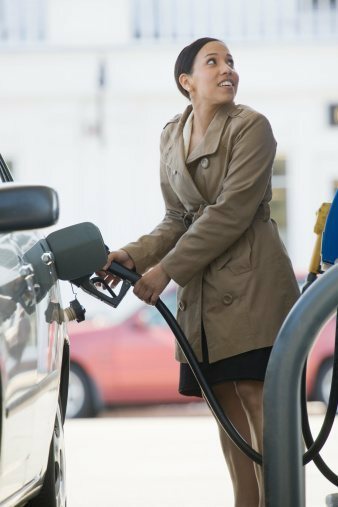 Do you shop around every week to find the cheapest fuel, or do you know which stations near you tend to have consistently lower prices? If you’ve found the station that’s right for you, then why not join their loyalty program and get even more savings? We took a look at the programs available from brands we surveyed. SuperGold Card: 8 cents off per litre. This card is exclusively available for New Zealand’s senior citizens and veterans, as a way of saying thanks for all they have contributed to New Zealand. The card also gets discounts and concessions with a range of other businesses. Farmlands co-operative fuel card: The Farmlands card will get you a discount off your fuel at Caltex, Challenge, BP and GAS. There are about 58,000 cardholders. Why be loyal to Challenge? Challenge is a 100% Kiwi owned and operated company, and their motto is “Kiwi as”, doing things the traditional way with a greeting and a smile. Formed in 1998 by Fletchers, they aimed to create an independent servo to compete against the “big four” fuel chain giants. Caltex bought Challenge in 2003, but the company remains independen. Gull Card: This card allows you to track your fuel consumption and economy stats. Small businesses like it because it means their employees can only charge the company for fuel, not for their coffee and meat pies. Why be loyal to Gull? Gull cares about teaching drivers about road courtesy. Even kids can learn about driving safely with Gull’s Carma colouring-in competition. Gull supports Ronald McDonald Houses for families with sick children who need somewhere to stay when they have to visit the hospital in the big city. AA SmartFuel card: Swipe your AA SmartFuel or AA Membership card and save 6 cents per litre off fuel. Available with Caltex and BP. Farmlands co-operative fuel card: The Farmlands card will get you a discount off your fuel at Caltex, Challenge, BP and GAS. Why be loyal to BP? Because they’re adorable. Seriously, watch this heart-warming 1½ minute tale of “Peter and the Rabbit”, the first of a series of BP New Zealand story videos. We love it so much that we watched it over and over while writing this article. Also, they take care of our community. They’ve sponsored Surf Life Saving New Zealand since 1968, which makes sense since most New Zealanders live within an hour’s drive of the coast. BP provides the Inflatable Rescue Boats used in over 50% of all rescues. They’ve also been sponsoring the Young Enterprise Trust for 20 years. Return and earn: The return and earn program gives you a discount on fuel when you shop for your groceries in participating Mobil or Exxon stores. Search for participating locations. Plenti Program: Use your Plenti rewards card at participating Mobil or Exxon stations to earn points every time you buy fuel or other products in-store. Then you can use those rewards points to pay for your fuel on your next visit. Why be loyal to Mobil? Mobil is New Zealand’s oldest oil company, with its ancestor companies being established in the country in 1896. Mobil’s ancestor Standard Oil began selling fuel here in the 1870s.